GEORGE TOWN, Mar 19 – An excellent and perfect Kung Fu performance was performed in 41st Kung Fu Night at Dewan Tunku Syed Putra, Universiti Sains Malaysia (USM) here on Sunday. 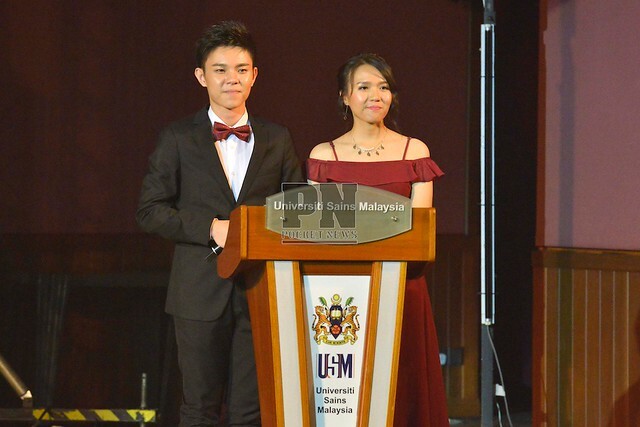 Themed 《IV I》Memoir, the event was organised by the USM Kung Fu Club. There were five divisions of the Kung Fu Club namely Shaolin, Taichi, Wushu, the Drum team as well as the Dragon and Lion dance team delivered a stellar performance that evening. Ching Xing Sport and Cultural Centre also invited to perform mask changing performance. Also present were Director of Student Development, Student Development Affairs & Alumni Division, USM (Representing Vice- Chancellor, USM) Dr. Nazarudin bin Zainun and project director Chang Kai Yang. He said the 10% from the ticket sales would be donated to the Silver Jubilee Home for the aged Old Folk Home. USM Kung Fu Club was established on 27th January 1976. The objectives of Kung Fu Club are to propagate the spirit of martial arts as well as to promote traditional Chinese culture among the students. The club also aims to foster unity, friendship and racial integration through Kung Fu.